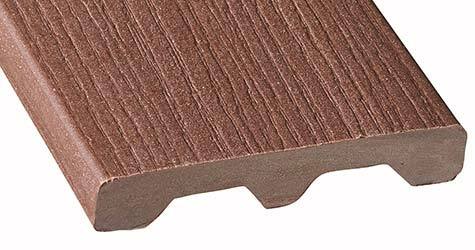 Veranda® Elite composite decking’s distinct variegation brings indoor design elements to the outdoors. With an unmatched look, Elite combines ultra-low maintenance with lasting beauty. Backed by 25 year structural, and stain and fade warranties you can rest assured that your deck will maintain its look and its value for years to come. The slotted-edge board features a pre-machined groove along the sides to accommodate the Veranda Hidden Fastener. The fasteners ensure the proper spacing between each board, making installation quick and easy. 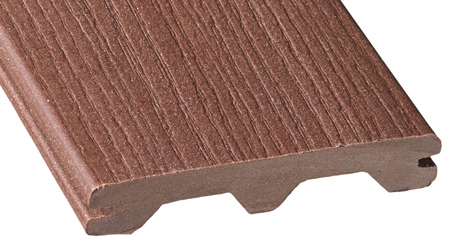 Veranda's Elite composite decking is available in 12', 16' and 20' lengths in both slotted-edge and solid-edge boards.